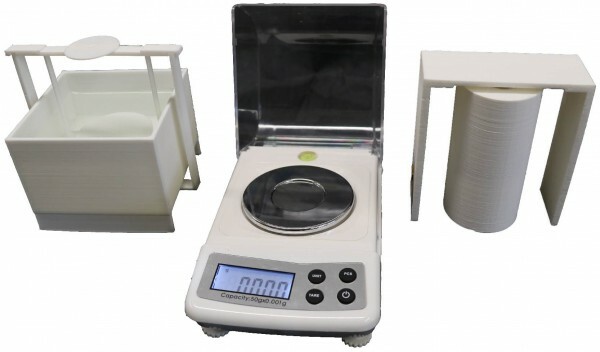 Product information "Mini Magnetic- & Density Scales"
The compact gold testing device for objets of up to 50 g. Weight, density and magnetic specifications are essential for precious metal testing. The Mini Magnetic- & Density scales are our "Swiss army knife" for precious metal testing. Establish the weight with a precision of three digits within seconds. Establish the density according to Archimedes' principle and examine potential fakes for tungsten cores with the magnetic scales. Related links to "Mini Magnetic- & Density Scales"
Instruction manual for Goldanalytix Mini Magnetic- & Density Scales as PDF file. Customer evaluation for "Mini Magnetic- & Density Scales"